Organization RCL Building & Remodeling, LLC – Home builder and remodeling contractor – New fairfield, CT, US. RCL Building & Remodeling, LLC. is a home builder and remodeling contractor in New fairfield, CT. We are specialized in budget accommodation, restoration and replica fabrication, custom remodeling, new construction homes, additions, kitchen and bathroom renovation and many more. 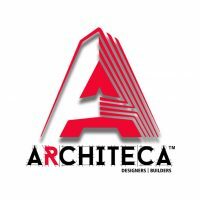 A In-house Design/Build Construction Firm specializing in budget accommodation, restoration and replica fabrication, custom remodeling, new construction homes, additions, kitchen and bathroom renovation and a full service cabinet shop. The key to renovating your house on budget yet beautifully is primarily to plan the entire process effectively. Since you want to renovate your house economically it is important for you to decide the total expenditure requirements/limit. It is important to remember in budgeting that you cannot overestimate your budget, keep your budget underestimated and then move on to researching for things you need. The first impression of your house is your door. If you are unable to change the door completely and if your existing door is in a good condition then you should repaint your door. Your doors could also affect the lighting of your room, and you could benefit from this great technique interior designed Amy Lau uses, “When dealing with a dark room, whatever color is used on the walls, I paint the ceiling, trim, and doors the same color but 50 percent lighter. Too much of one shade can overpower a space.” So, when renovating on a budget if you are repainting your door try to use different shades according to the concentration of light in your house to optimize the lighting of your house the way you want to.